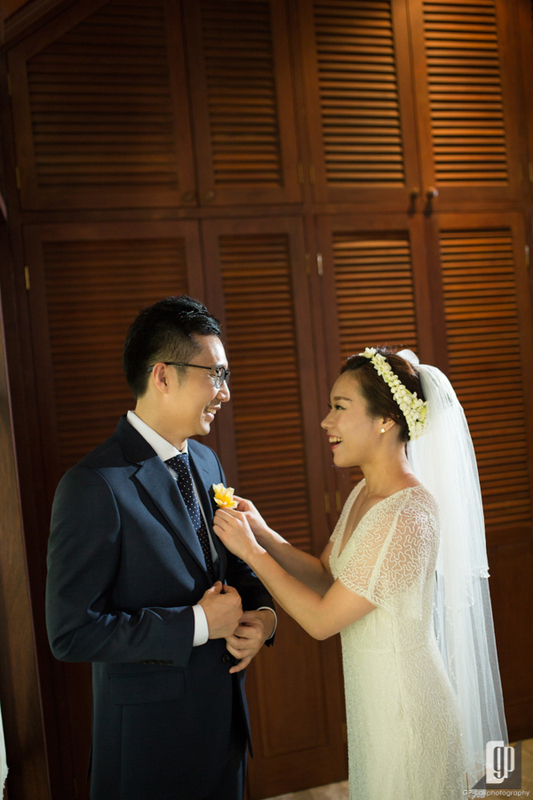 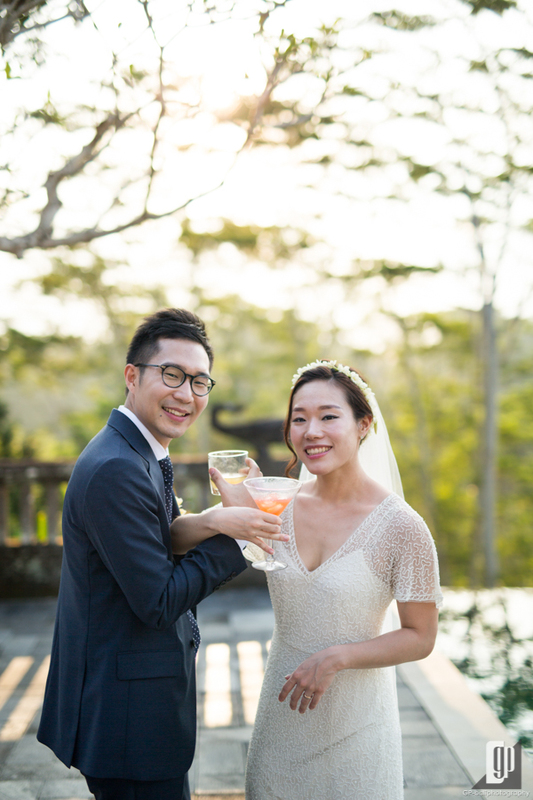 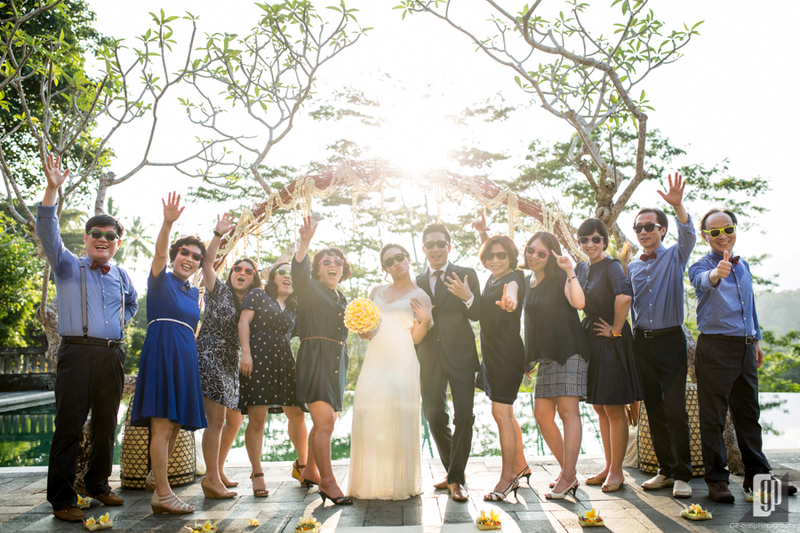 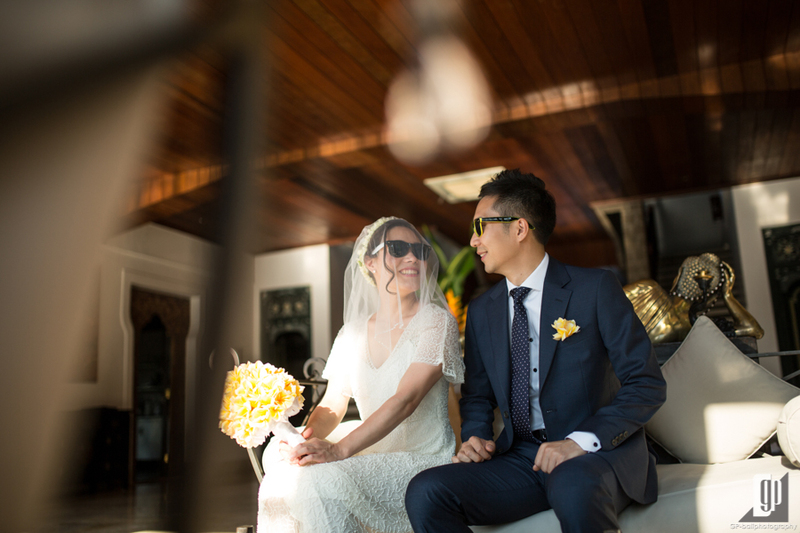 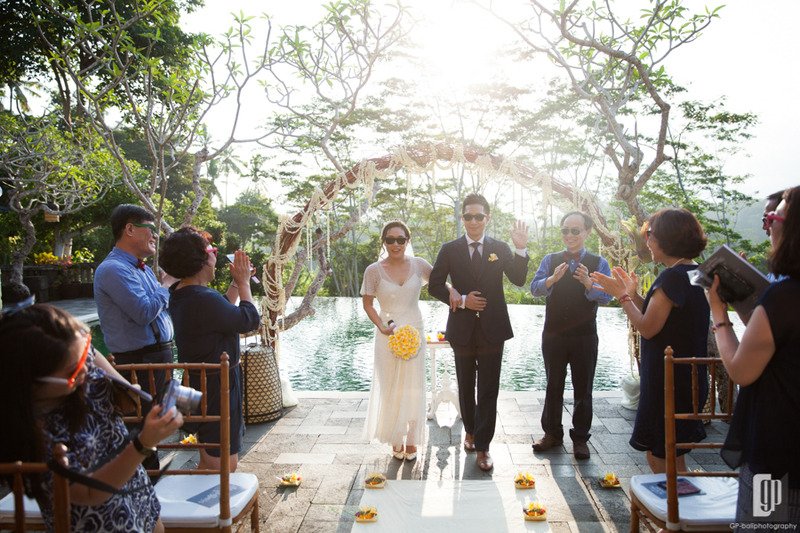 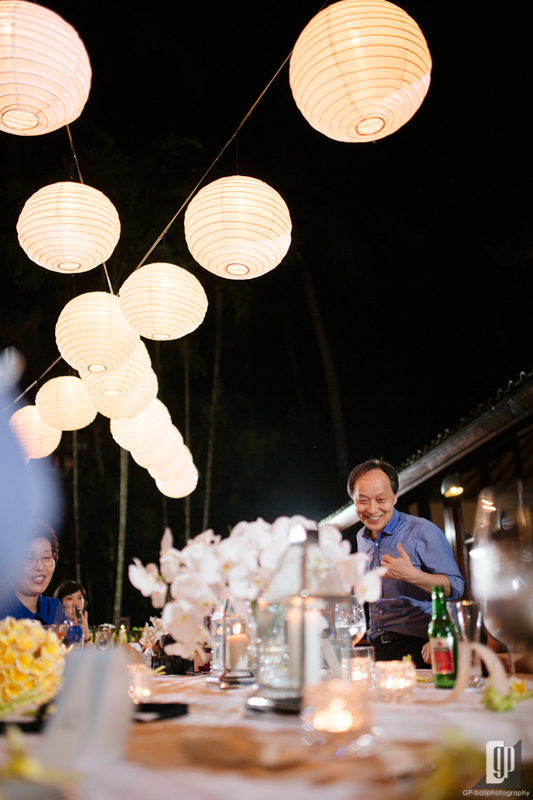 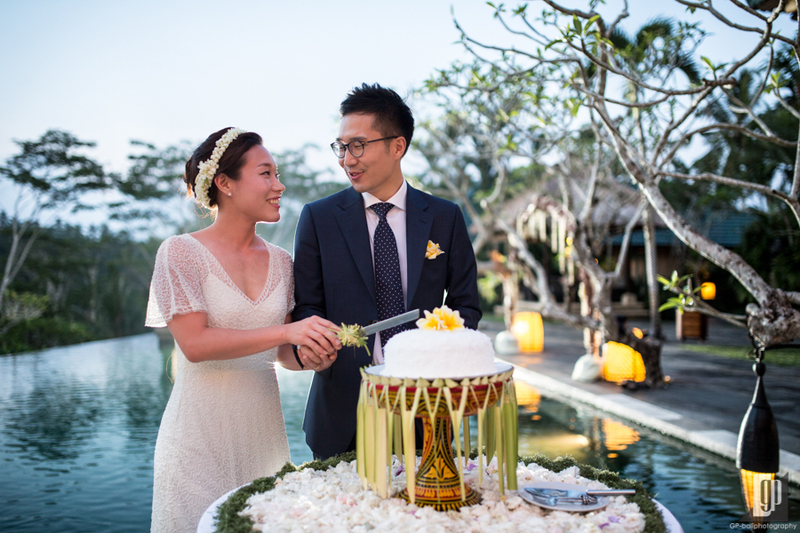 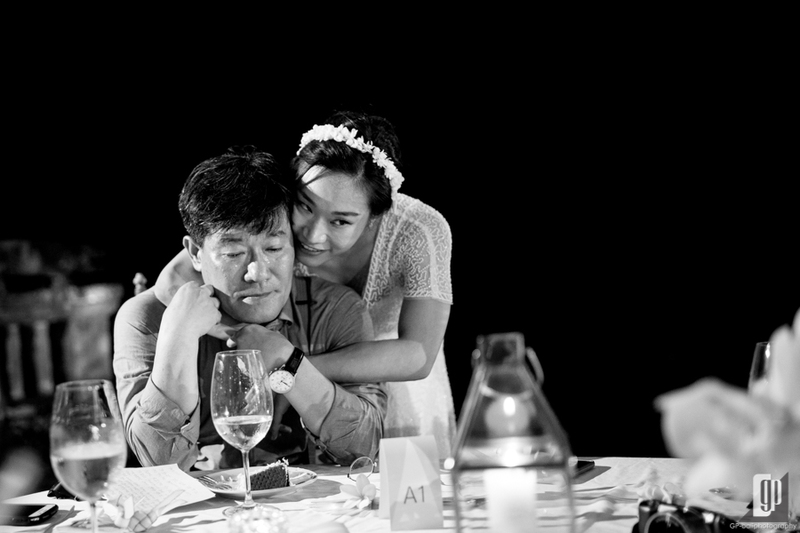 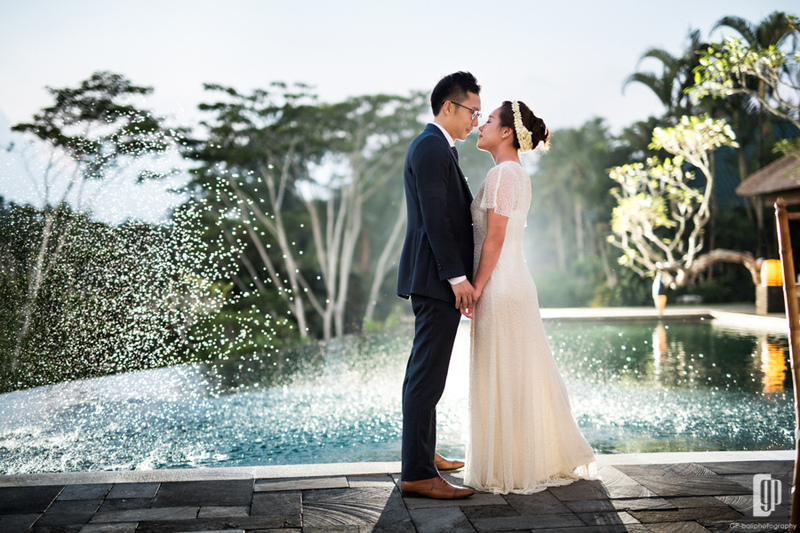 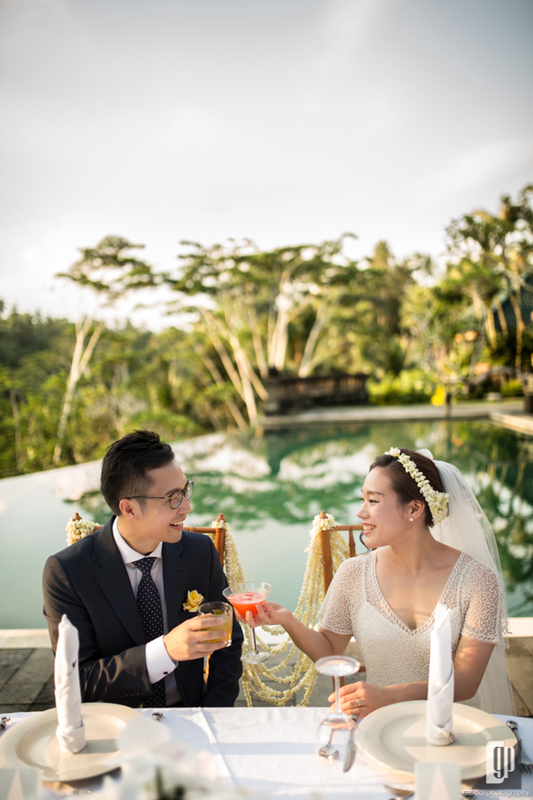 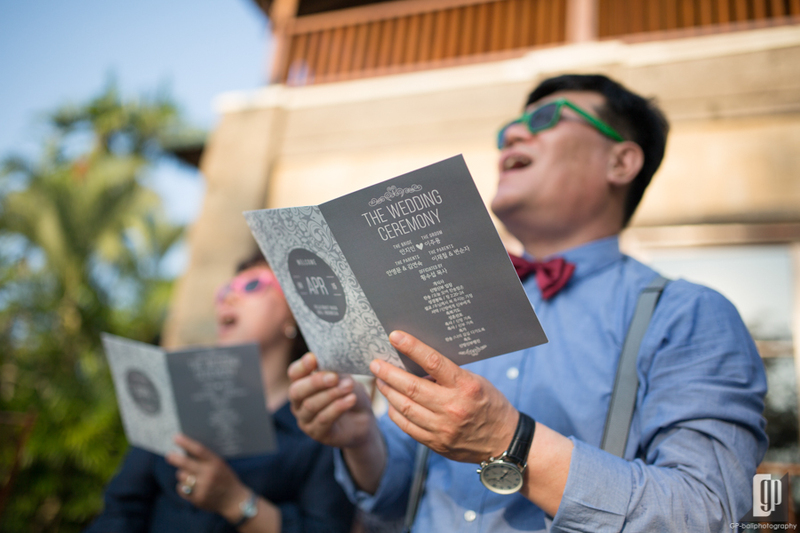 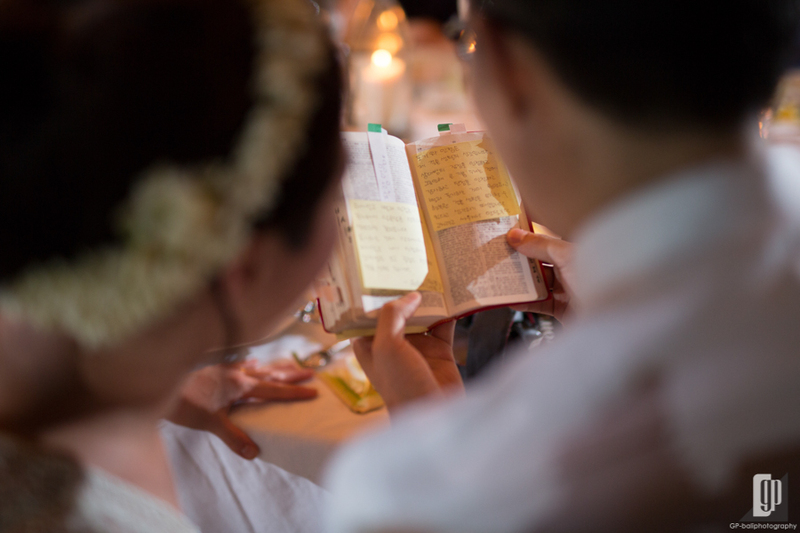 Ubud become the witness of true love between Lee and Ahn. 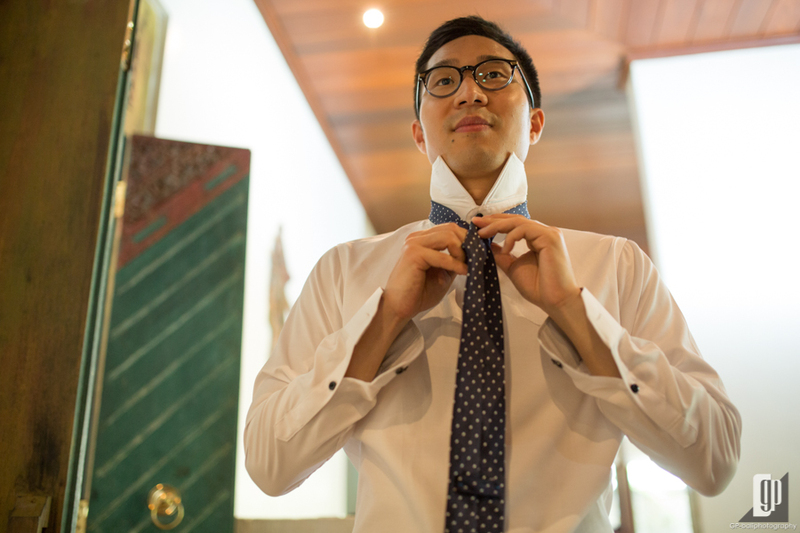 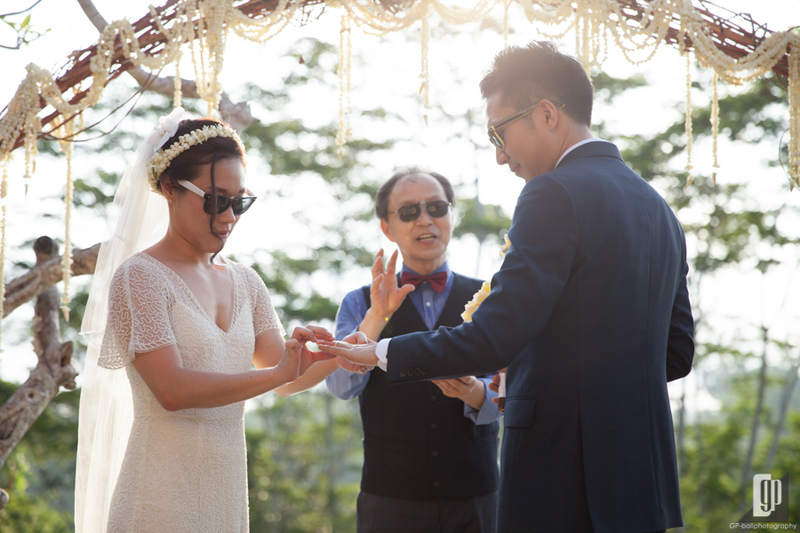 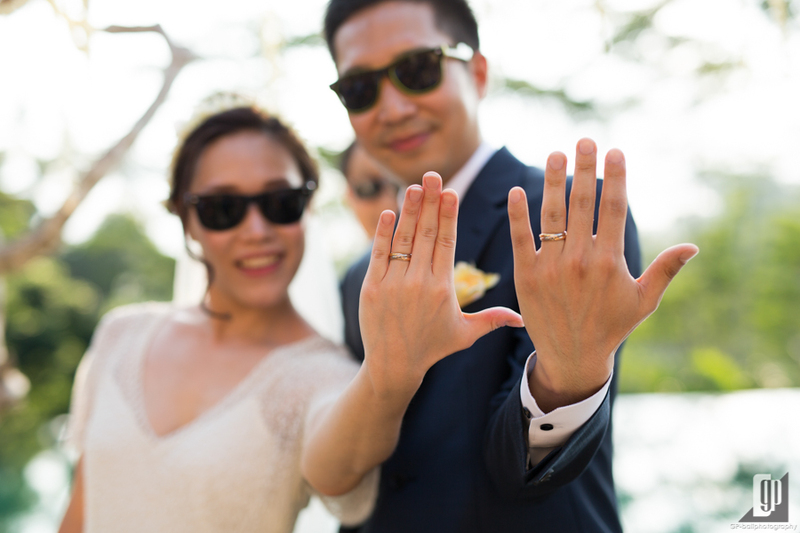 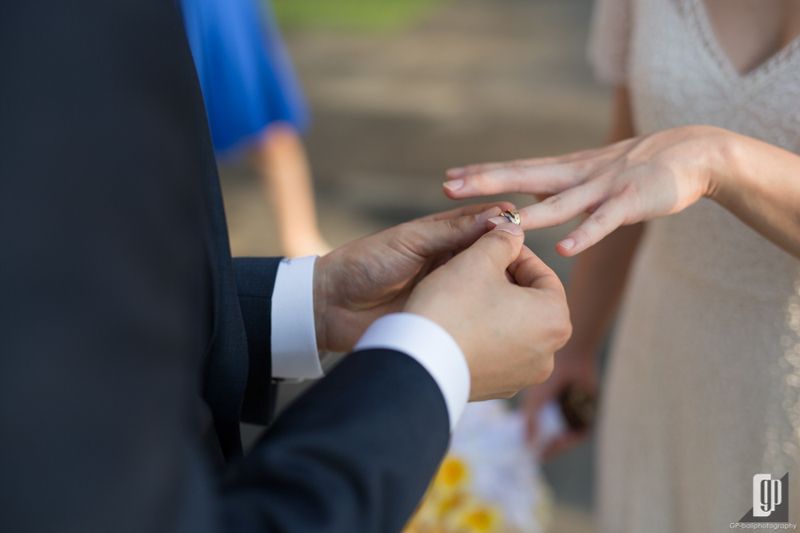 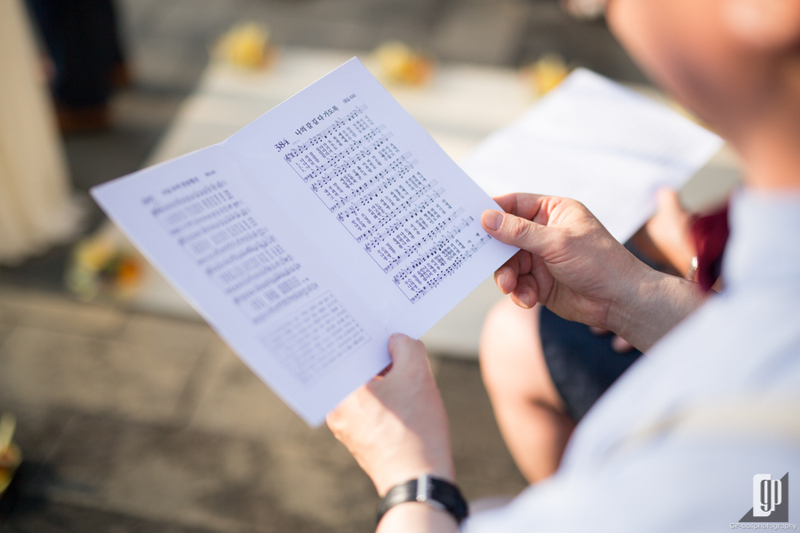 This Korean couple bonded their relationship to the next level called marriage life. 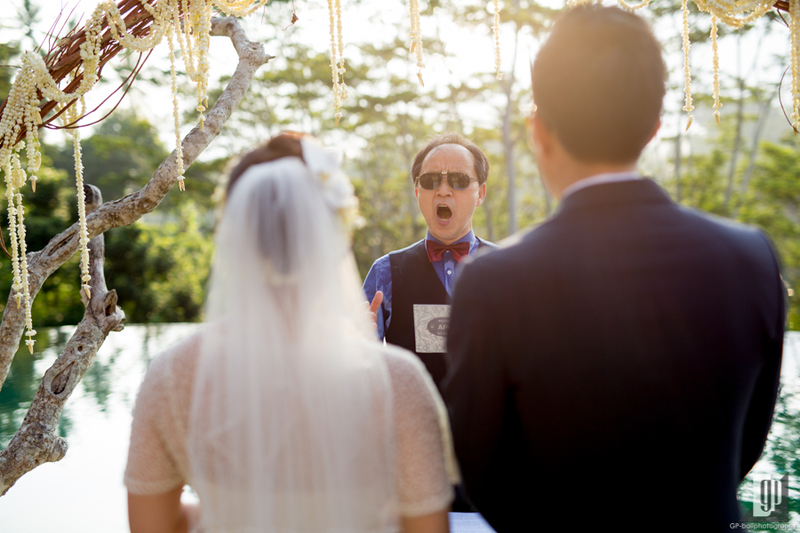 All was happened on April 9th, 2017. 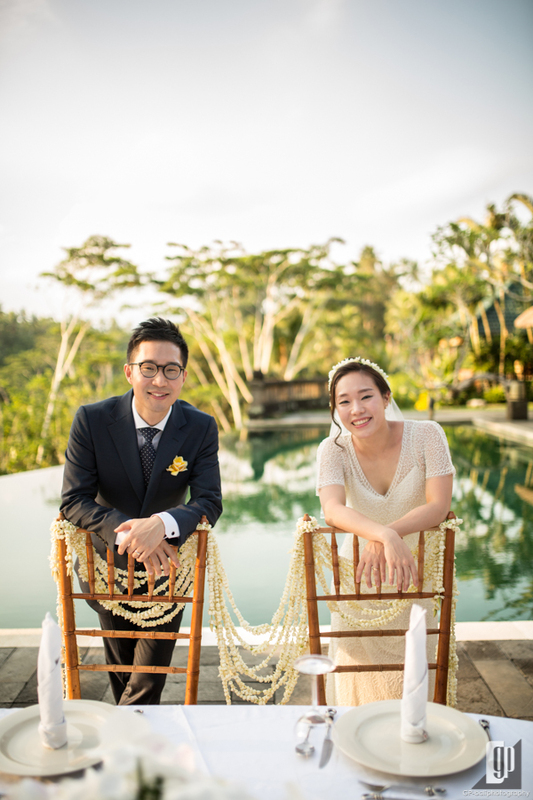 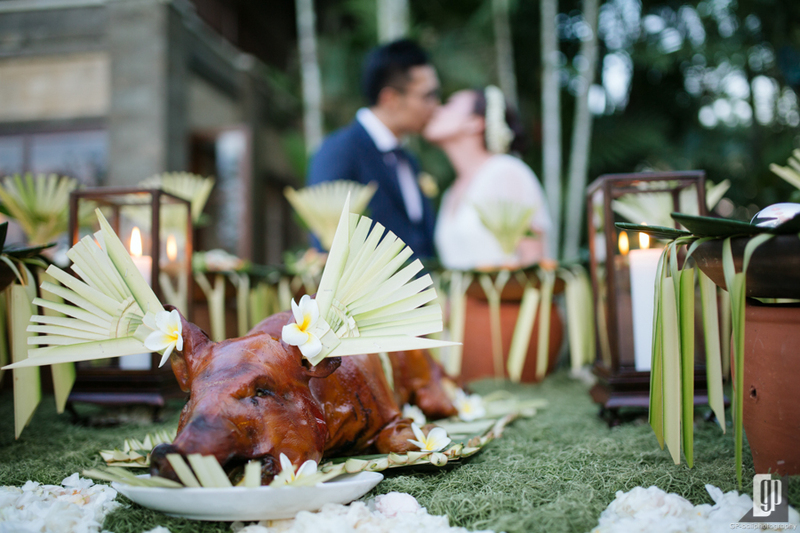 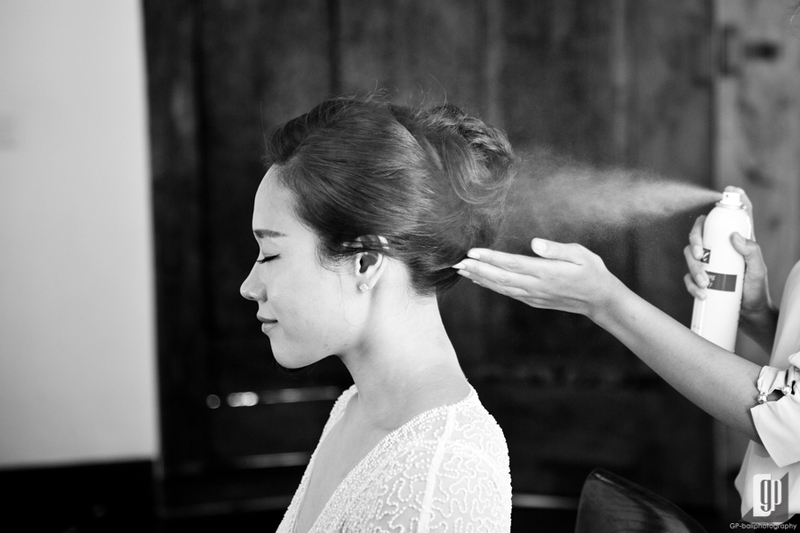 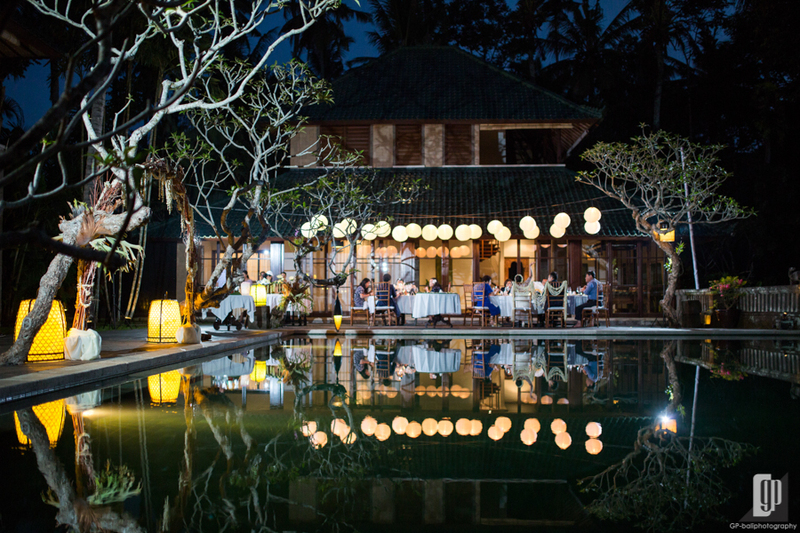 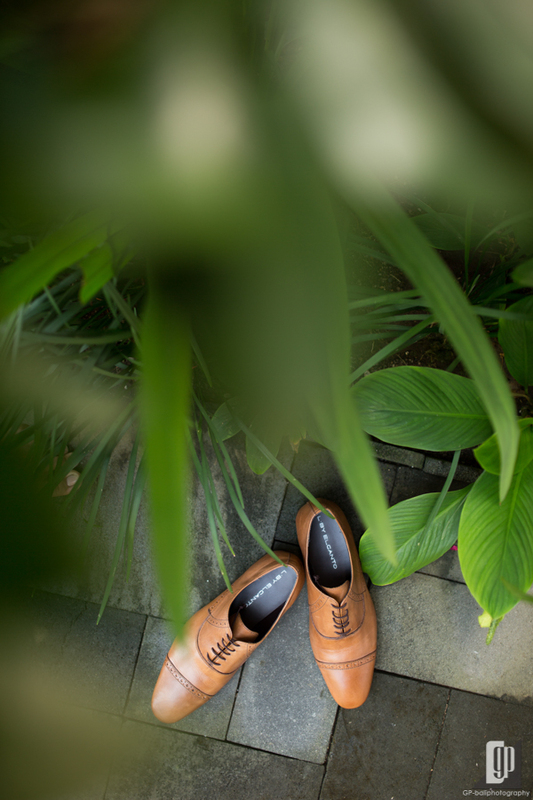 The exoticism of Ubud nature and Balinese cultural vibes accompanied Lee and Ahn’s wedding in a very extraordinary way. 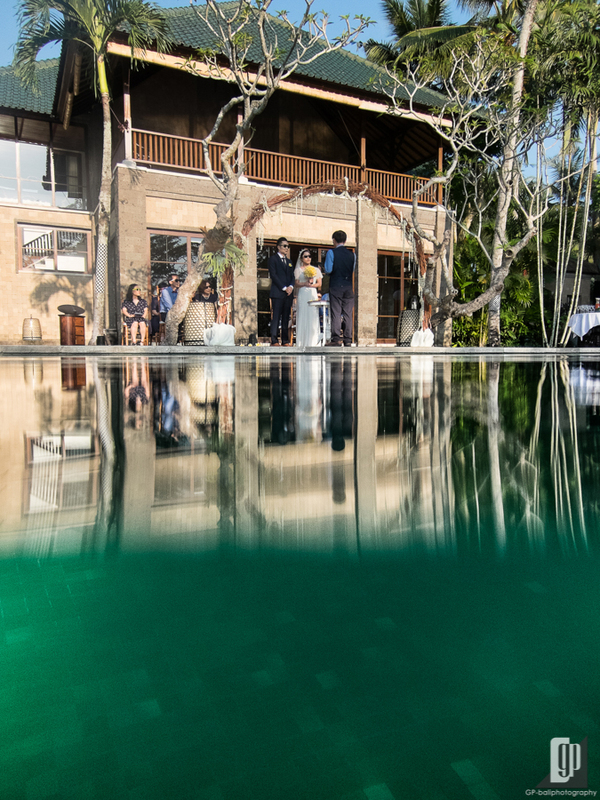 Villa Bukit Naga was the main venue of their wedding ceremony offering magical setting that blended with open-air tropical nature. 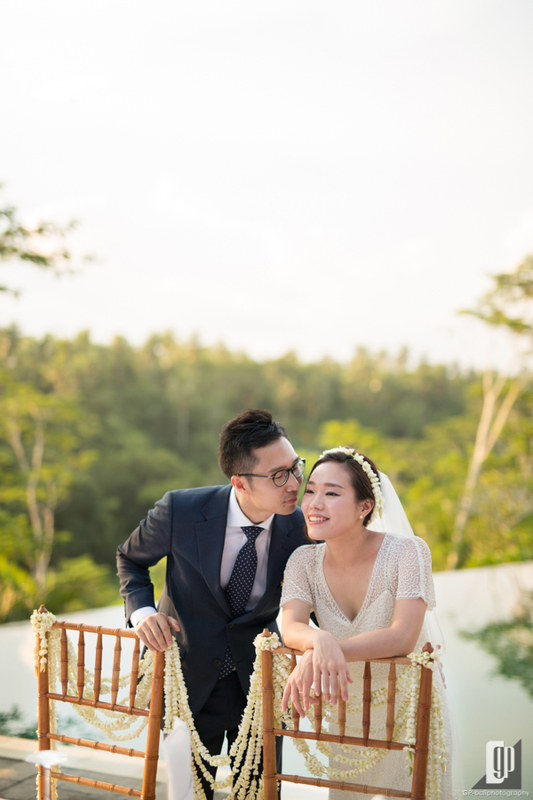 The breezy forest and bird chirping transformed as the impeccable background of the couple’s sweet moment at that time. 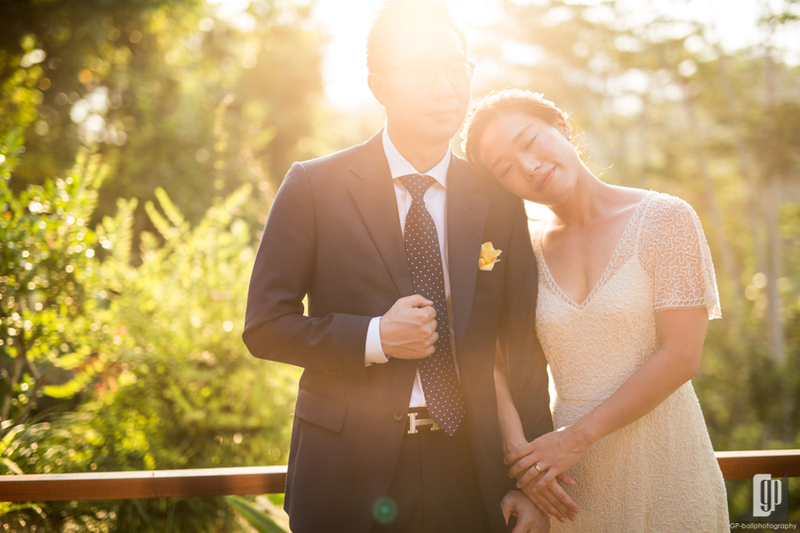 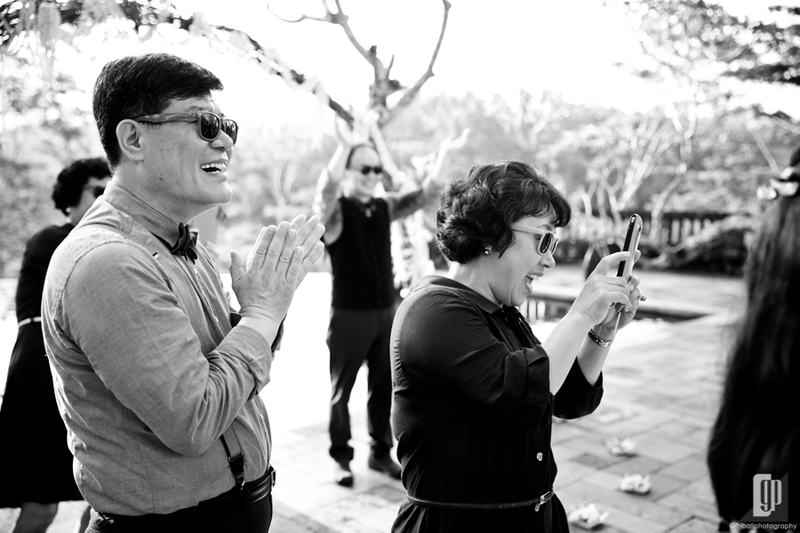 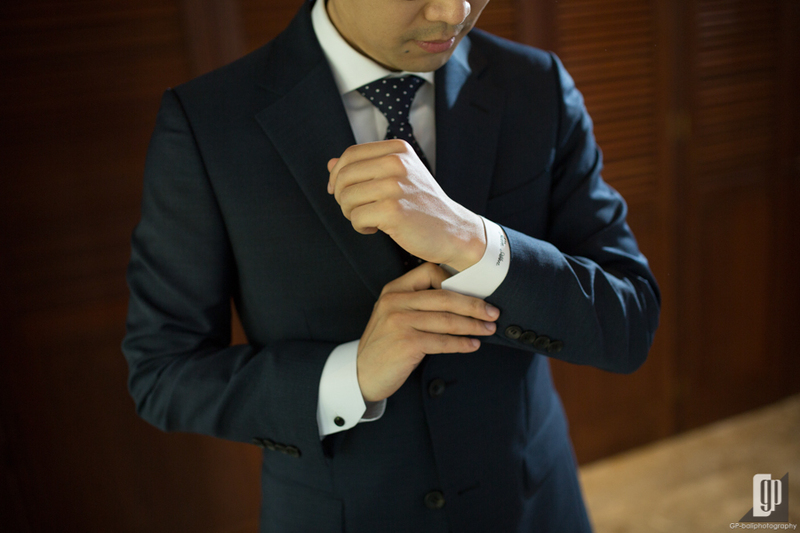 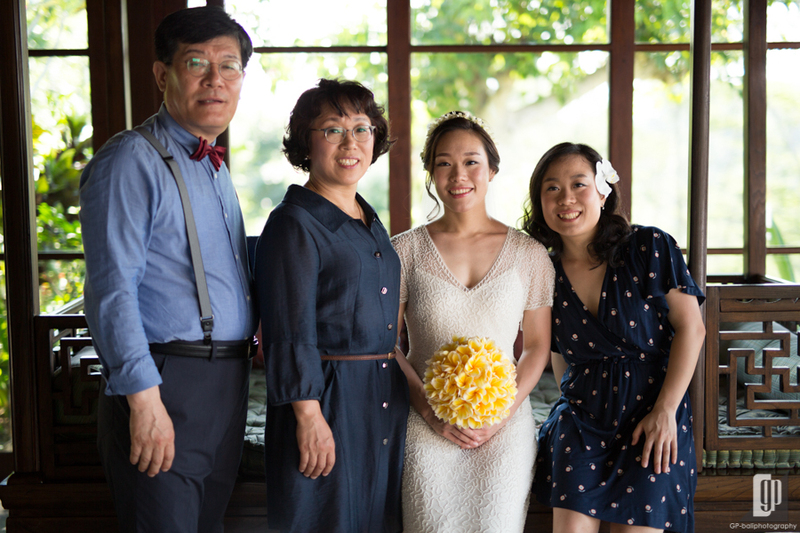 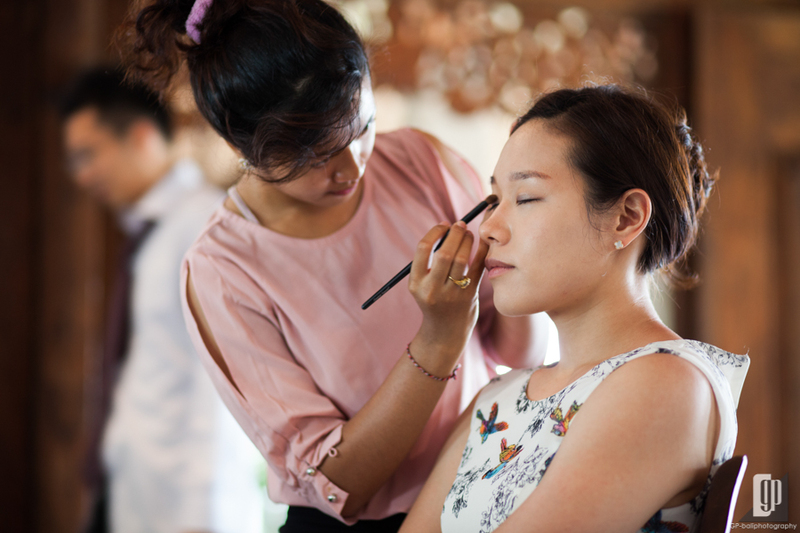 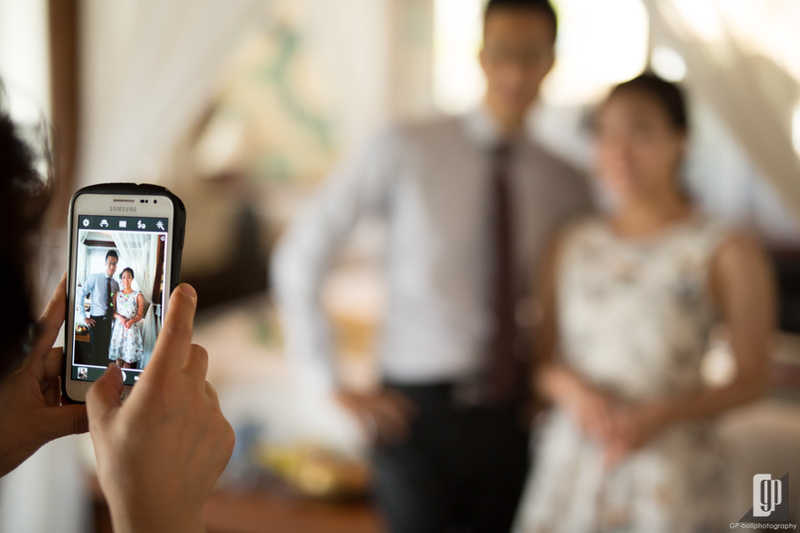 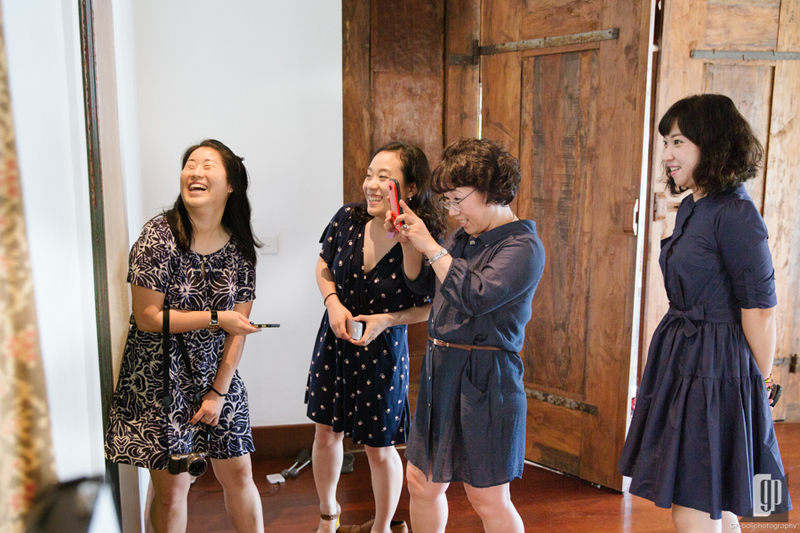 Fortunately, we had an opportunity to capture Lee and Ahn’s special day, started from their morning sacred procession to the joyful wedding reception at the night. 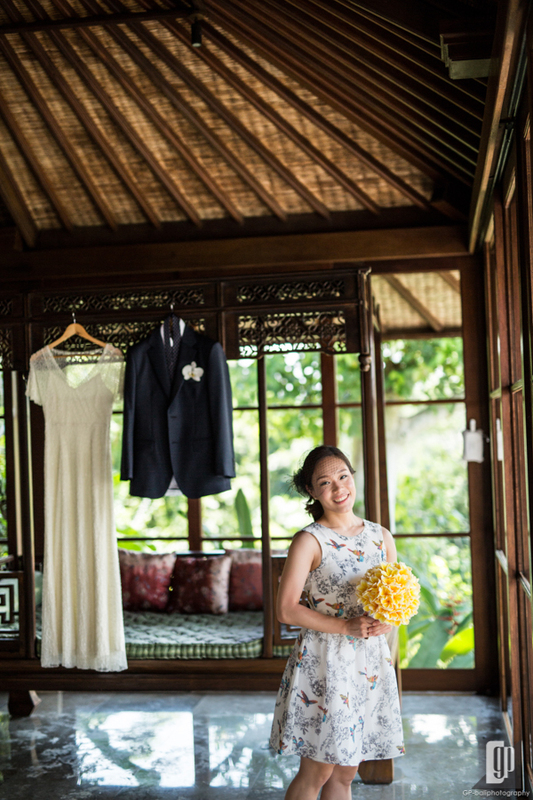 In the morning, our camera were ready to capture their preparation. 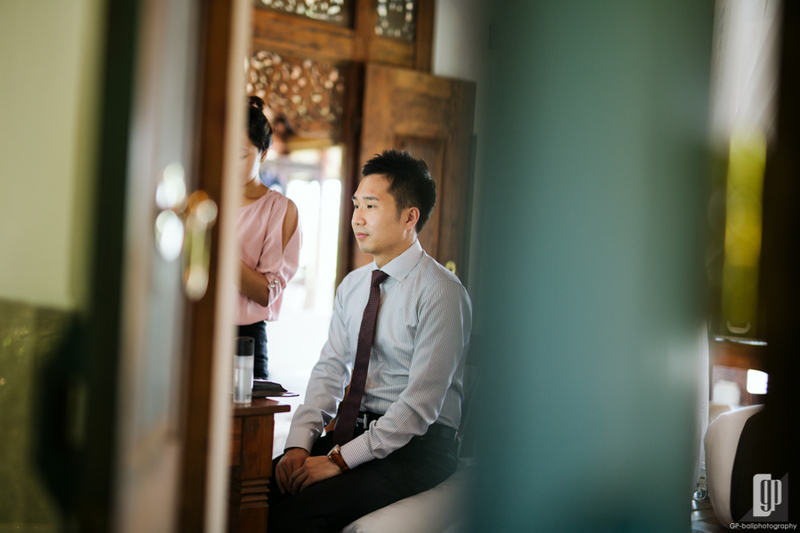 Lee as groom and Ahn as bride looked busy at their own room to get some make up and bridal wardrobe. 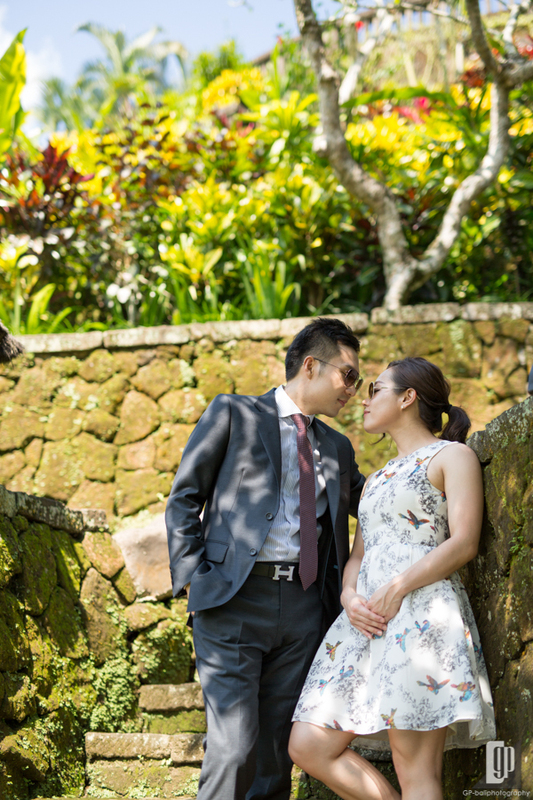 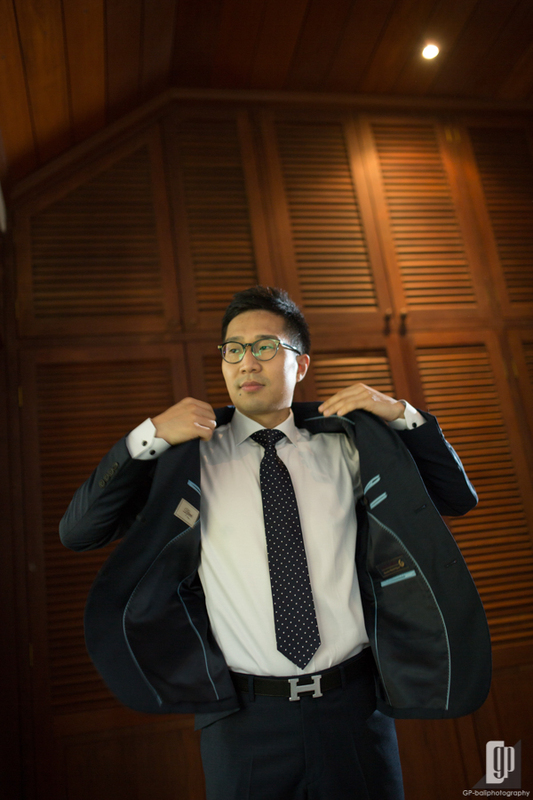 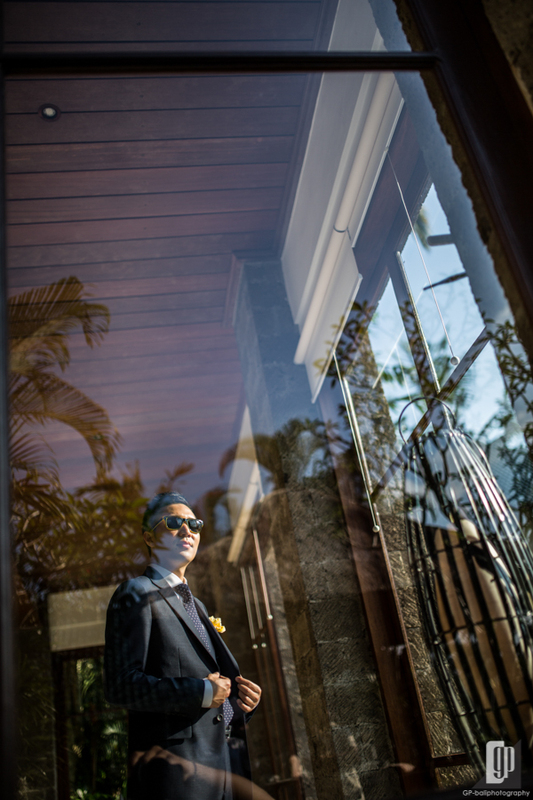 We had two session for this, because the couple would like to have a memorable shoot by exploring the natural background around the villa, before ceremony was started. 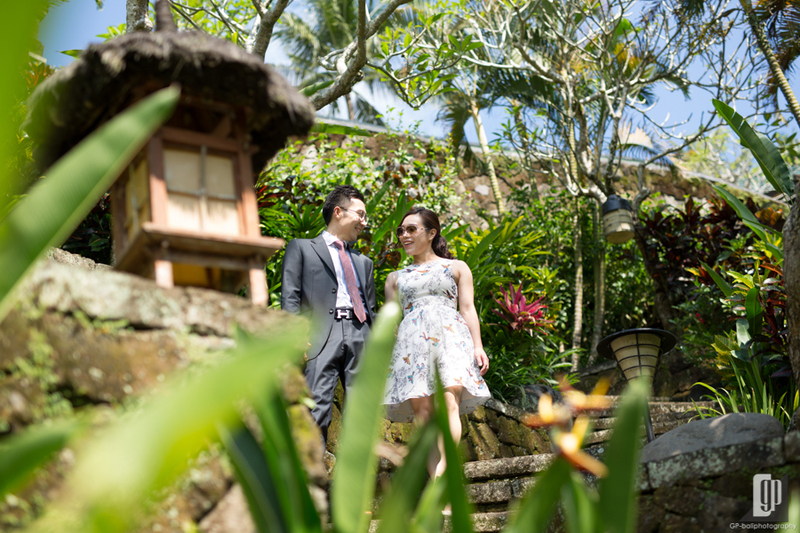 The first session brought this couple to have a casual wardrobe, where their romantic photo shoot blended in breathtaking Ubud nature. 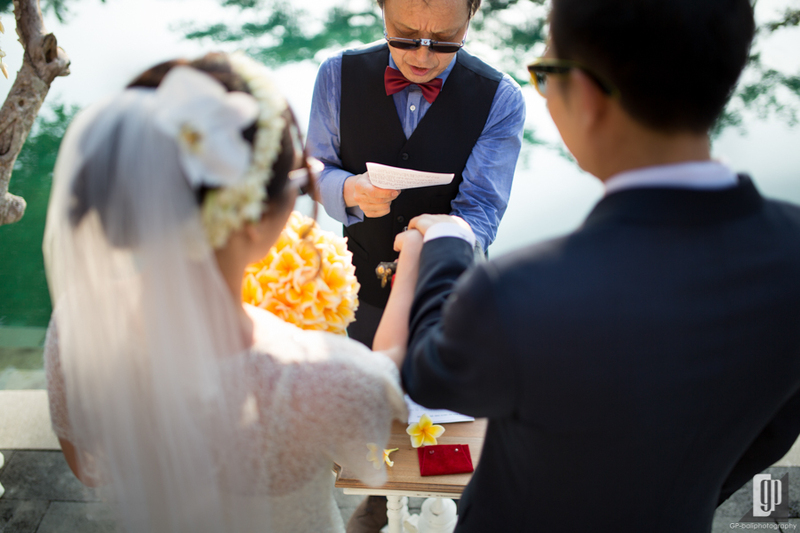 After all, we continued to the real procession of wedding. 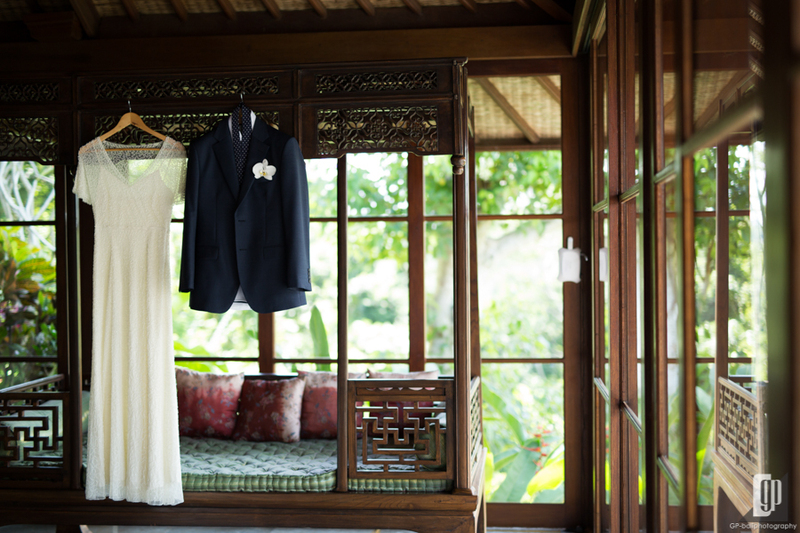 Groom and bride changed their wardrobe to be more exclusive and elegant. 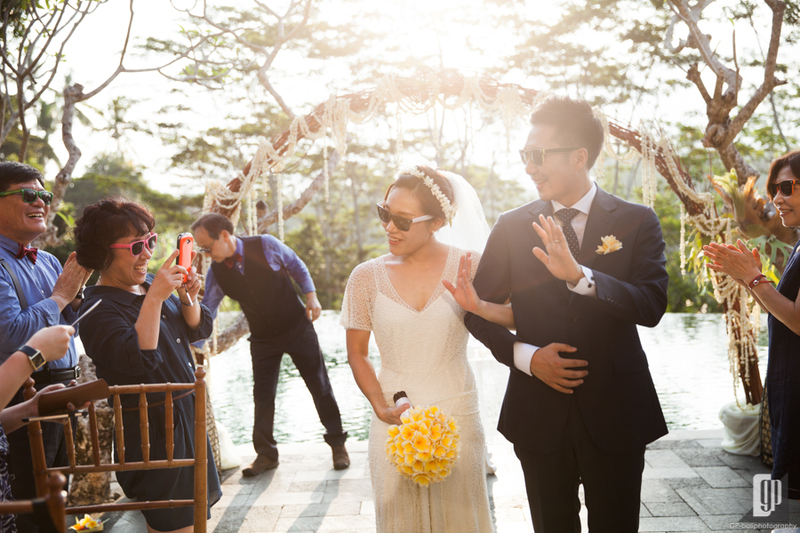 Ahn entered the Chapel with her stunning white gown, while Lee wore gentle black suit. 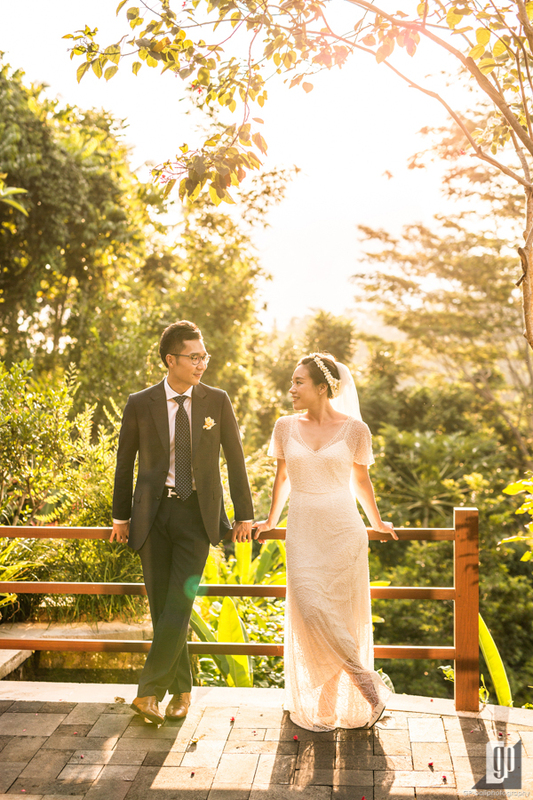 Both looked charming. 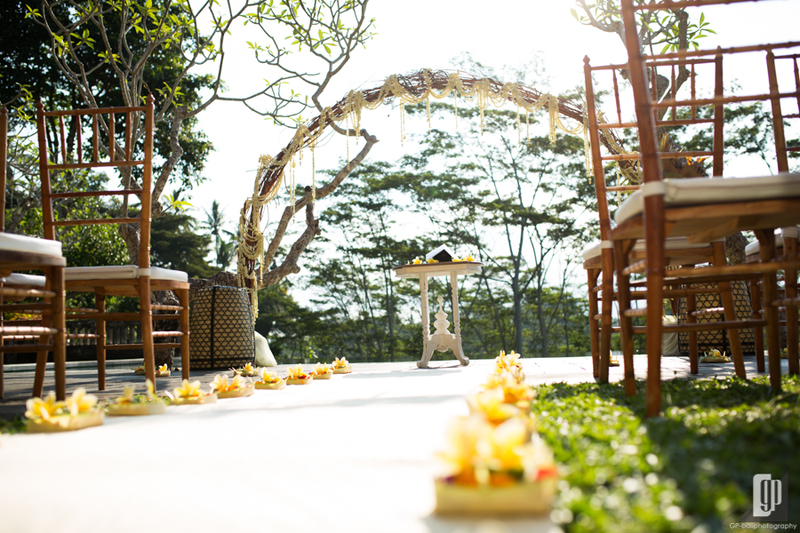 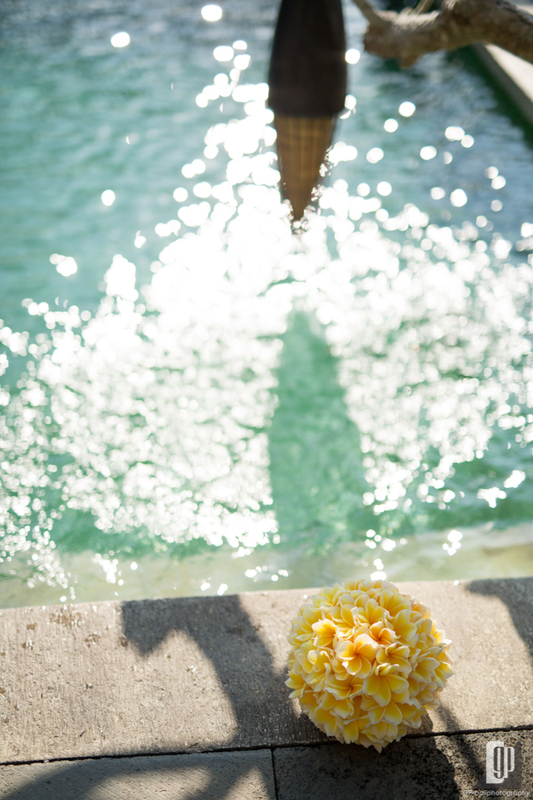 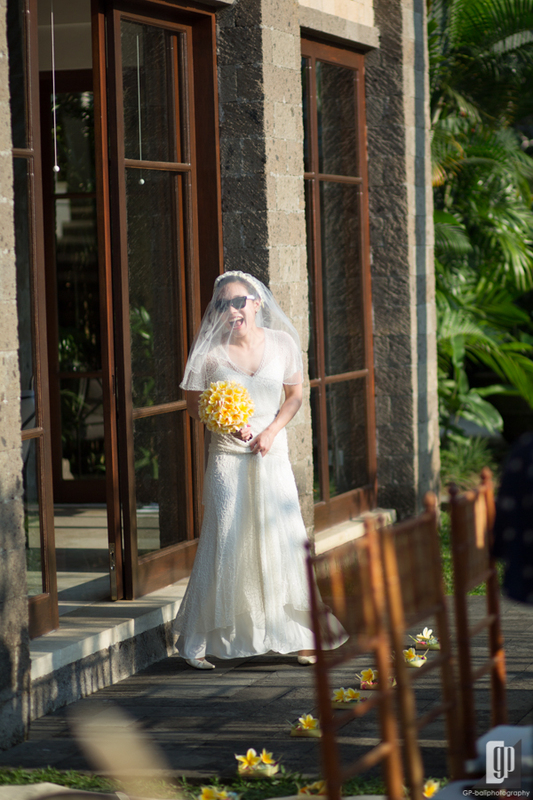 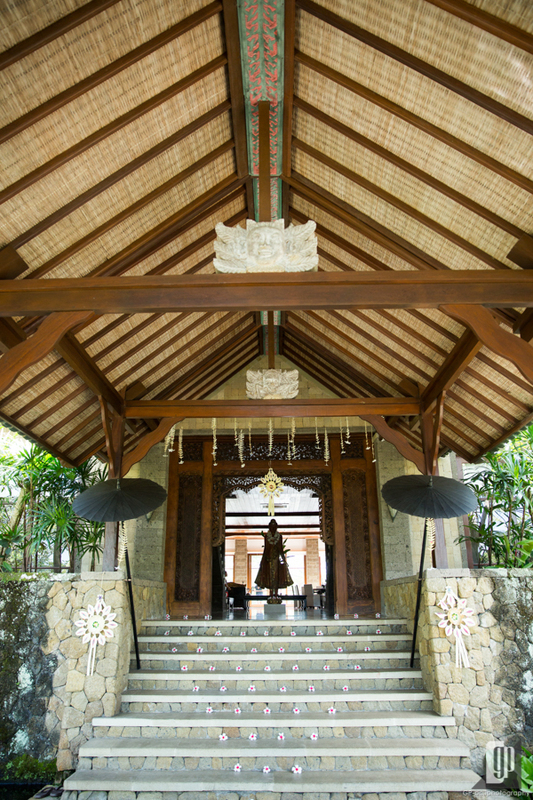 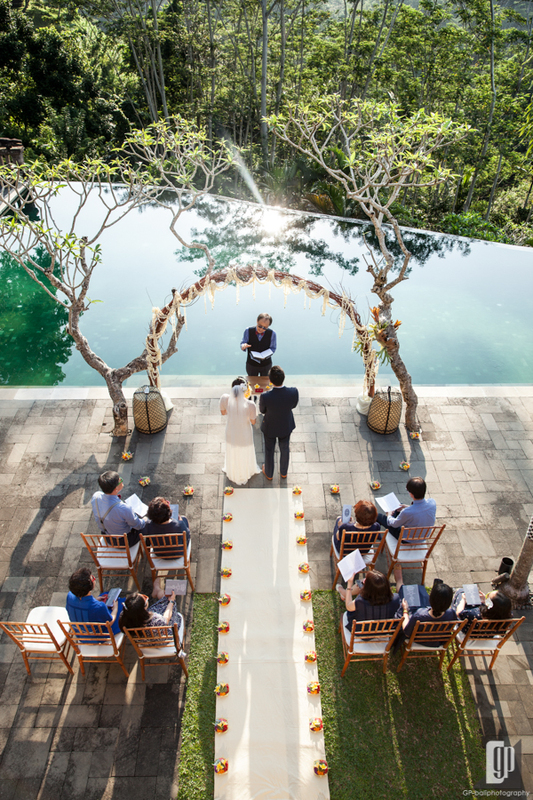 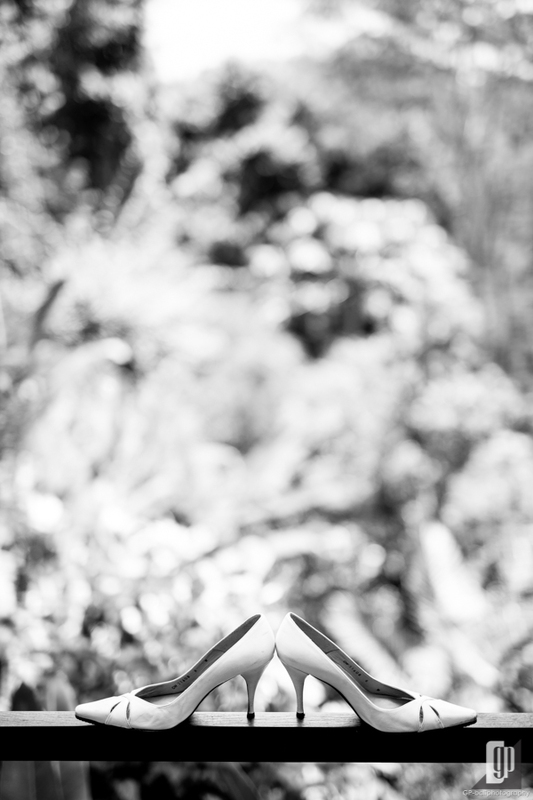 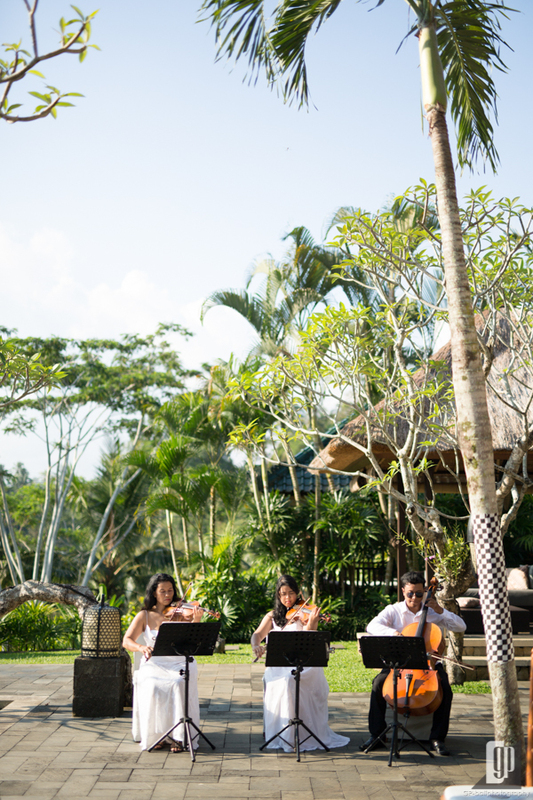 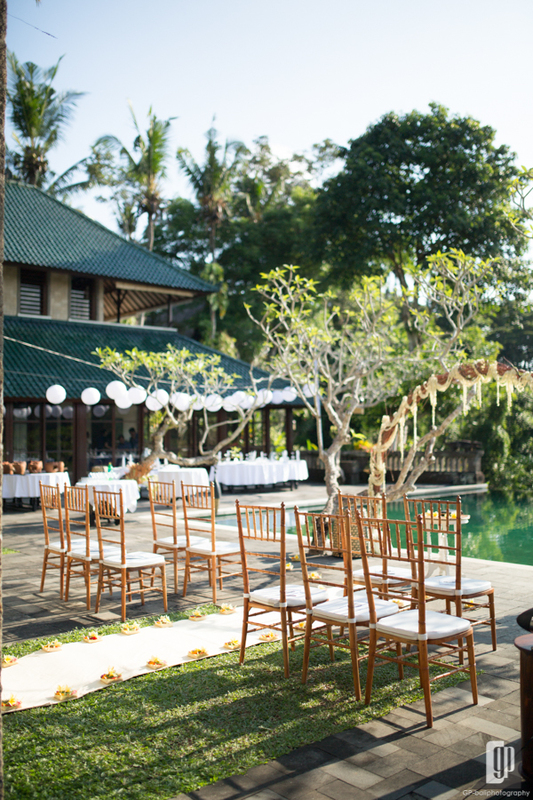 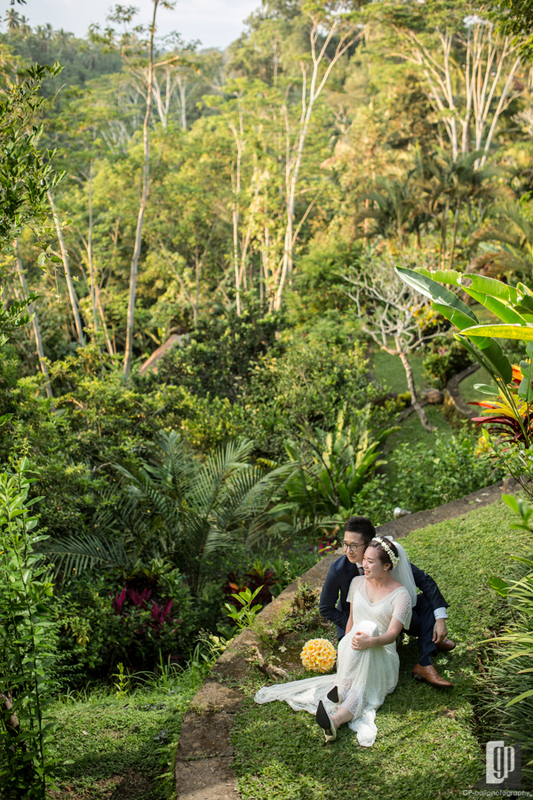 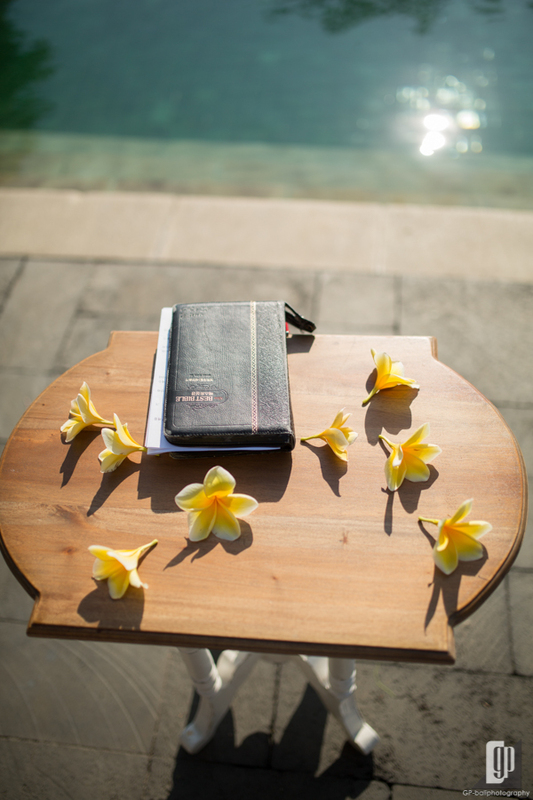 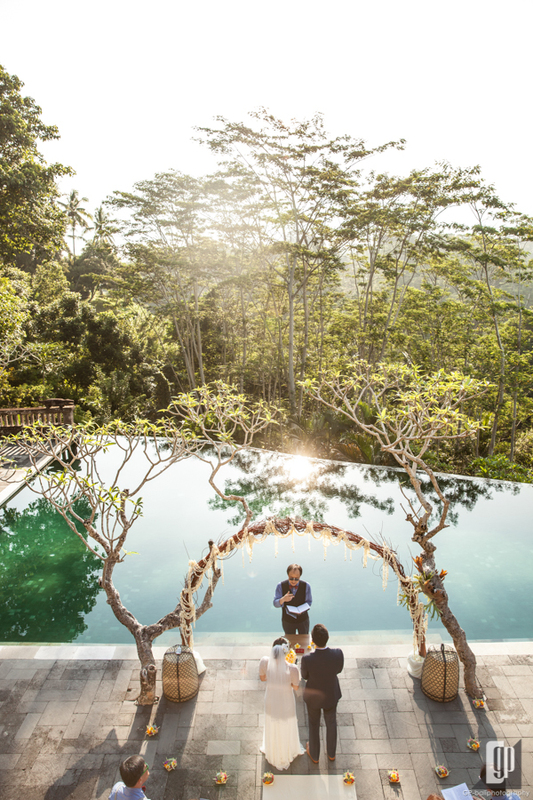 The Chapel was set up within the lush villa garden overlooking Ubud nature. 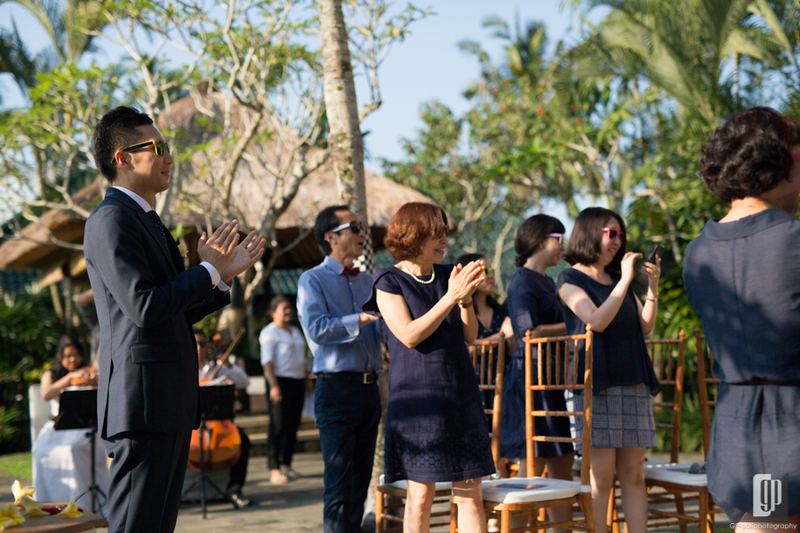 All family, colleague and closest friends attended the ceremony. 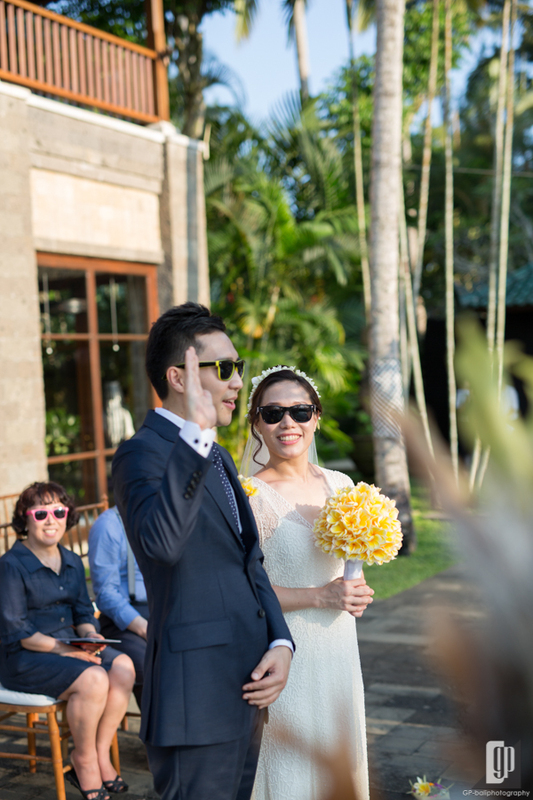 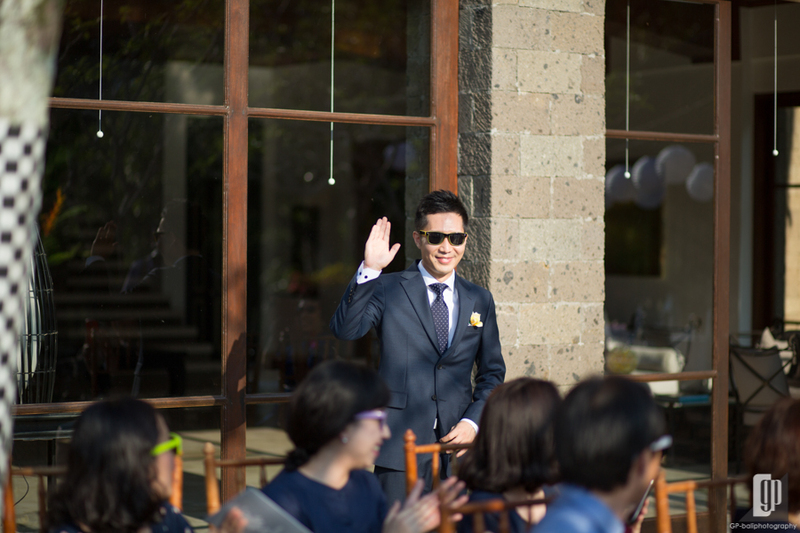 One special highlight of their ceremony was everyone at that time asked to be wore sun glasses. 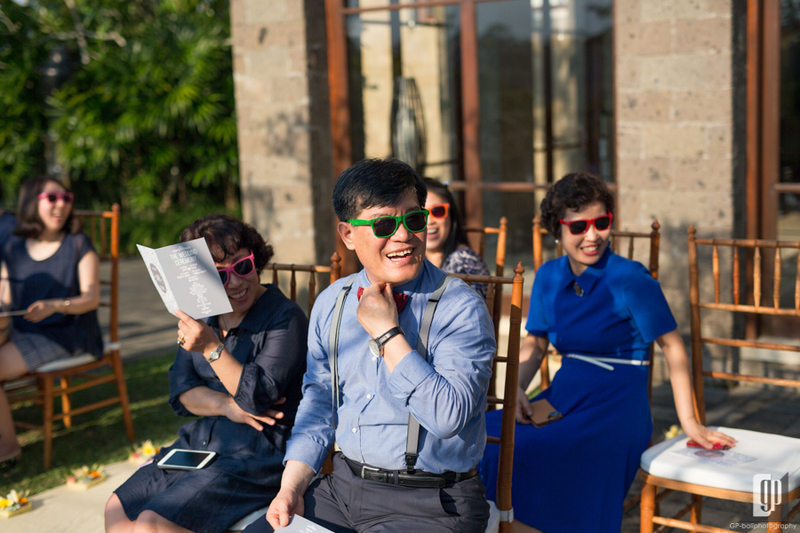 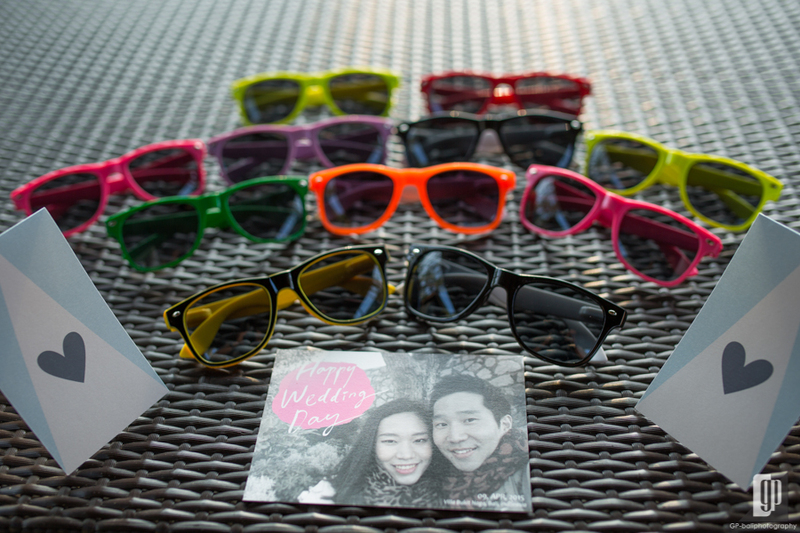 Yeah, the couple and their invitation wore funky sun glasses, even the priest. 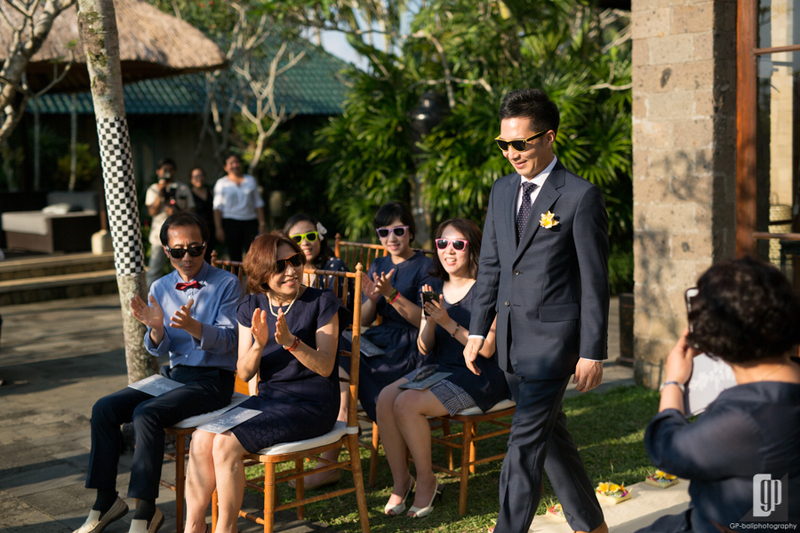 Suddenly, the ceremony dress code turned to be more fantastic and casual. 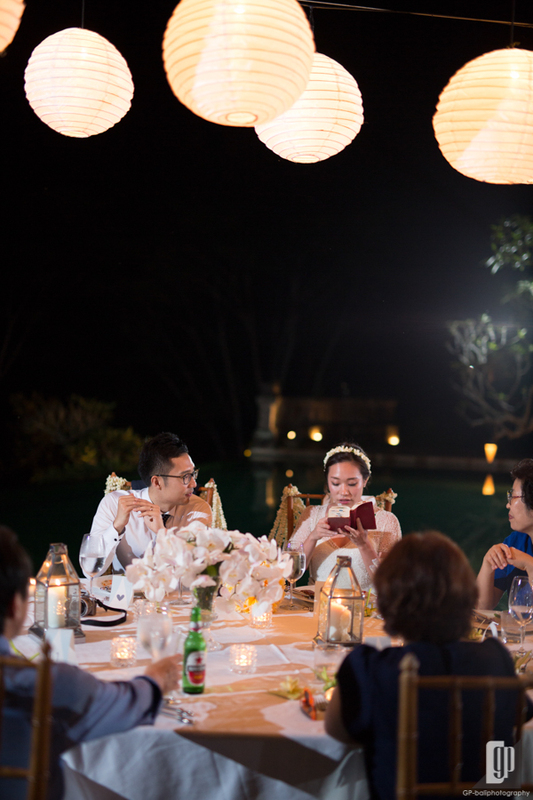 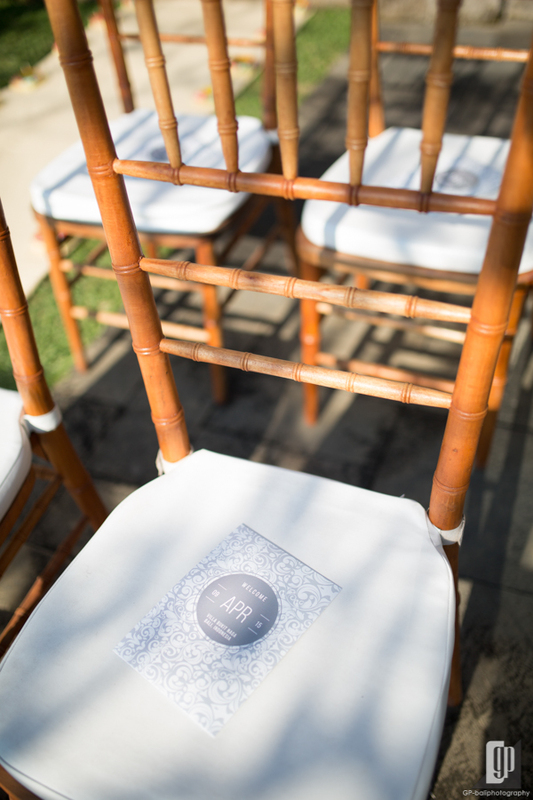 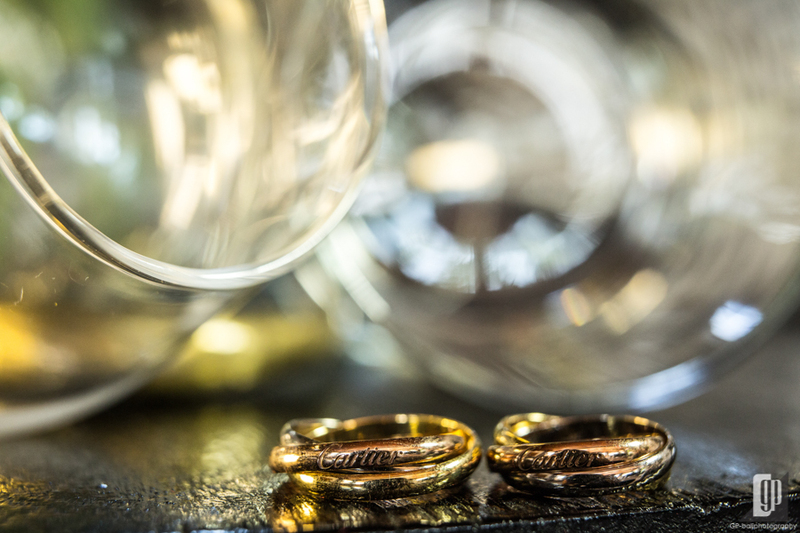 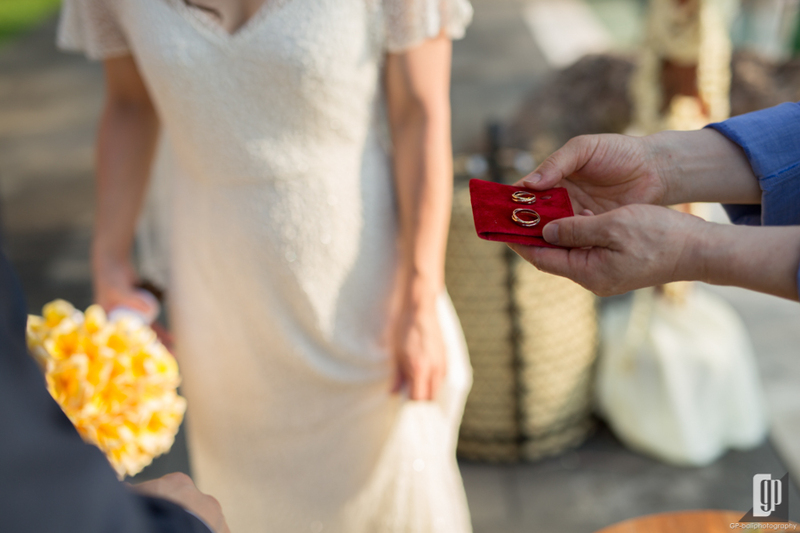 The ceremony ran with fully intimacy and private, where the ambience was joyful and romantic. 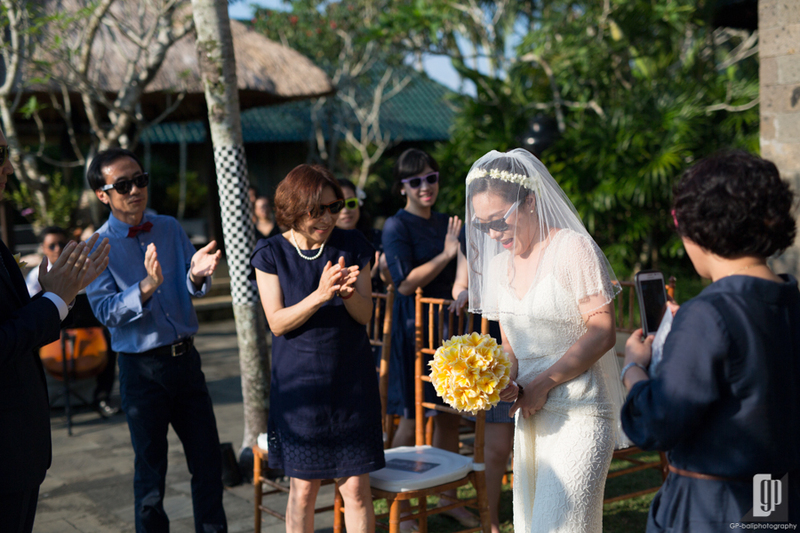 All families, friends and colleague could not hide their happiness to see both couple. 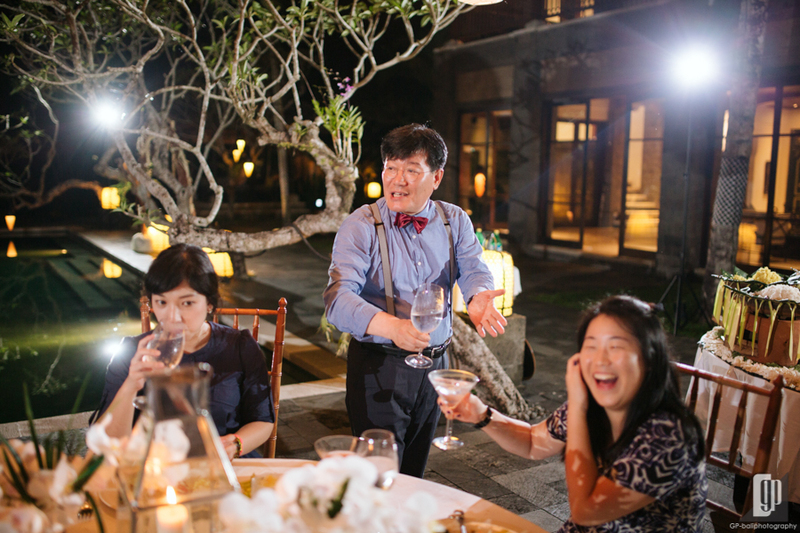 After the priest declared both officially became marriage couple, Lee and Ahn expressed their happiest feeling in front of their wedding guests. 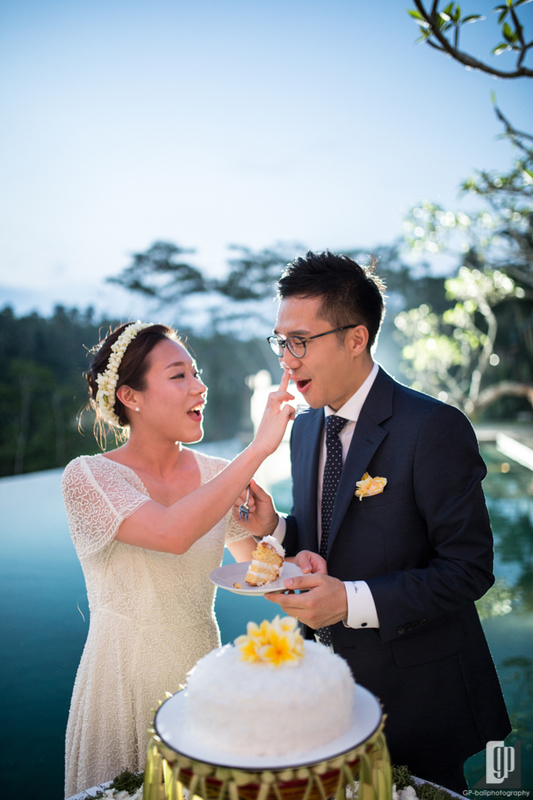 We loved to see how their melting moment among the guest, so we could get a very nice shoot for them. 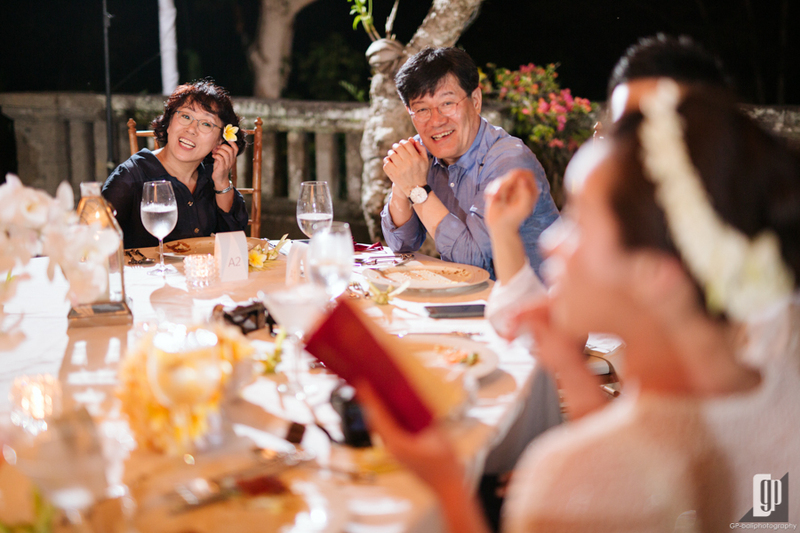 The party did not stop. 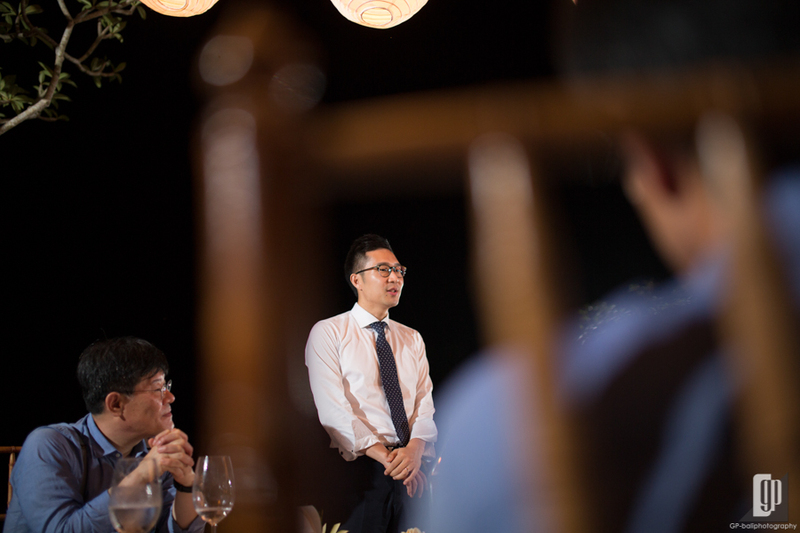 It continued to the very intimate reception. 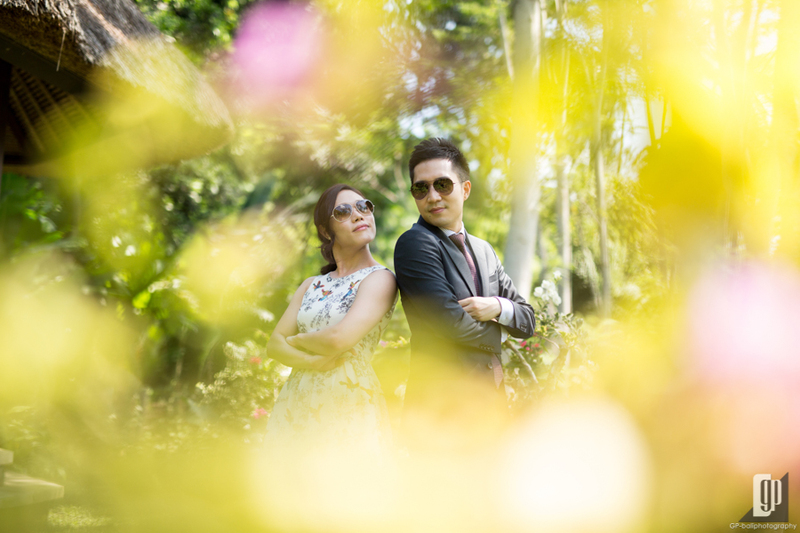 Before reception, we asked them to have some romantic photo shoot around the venue and the result was mesmerizing. 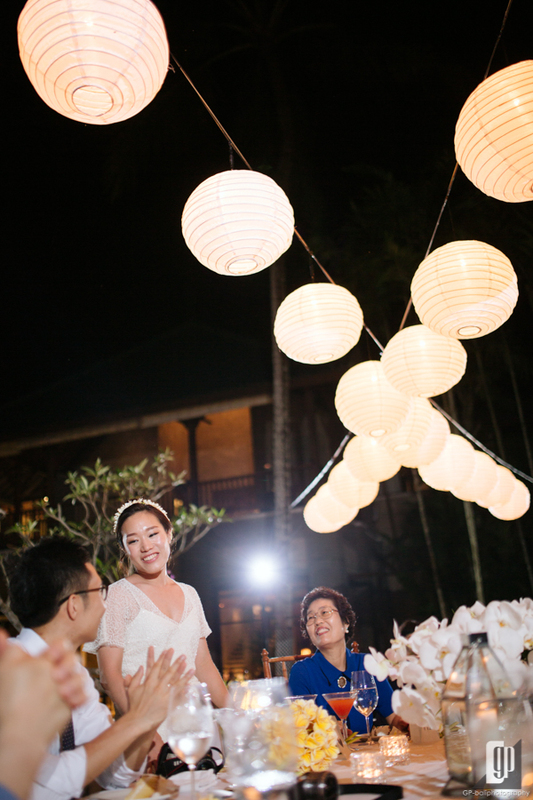 Every moment that they created was powerful scene to be captured by our camera. 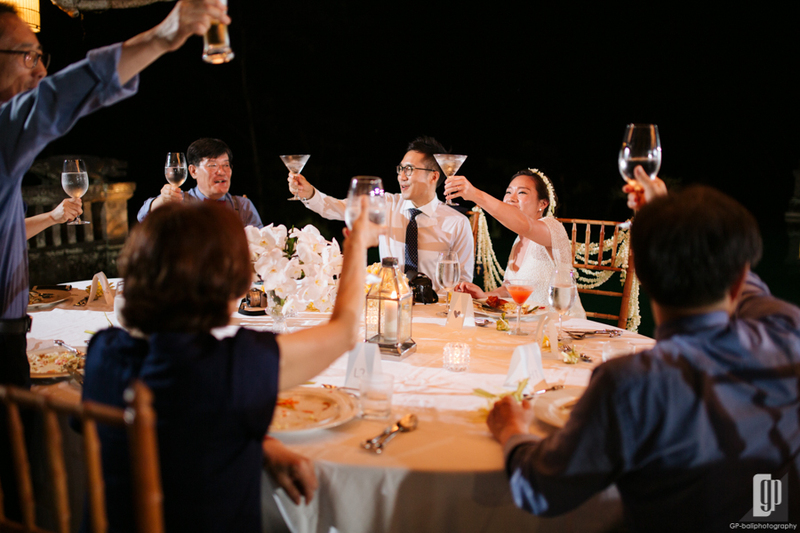 At the reception, everything was meaningful and the togetherness with family and closest friends was something that could not be described with words. 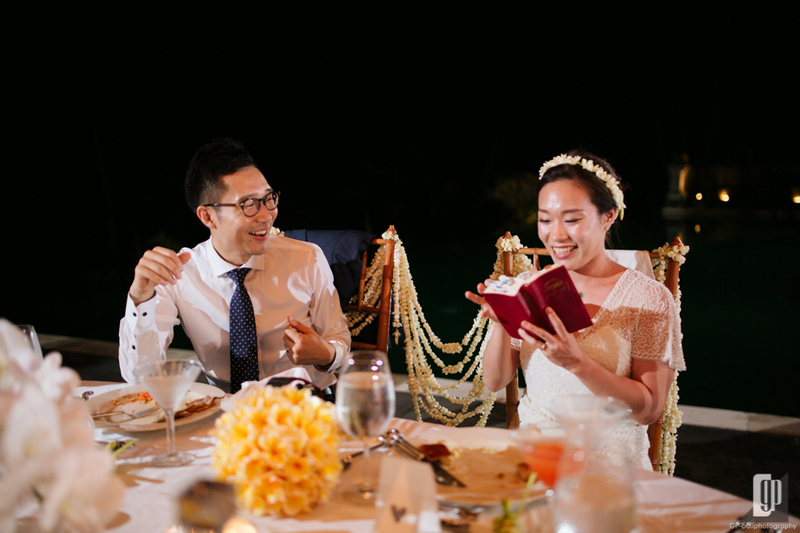 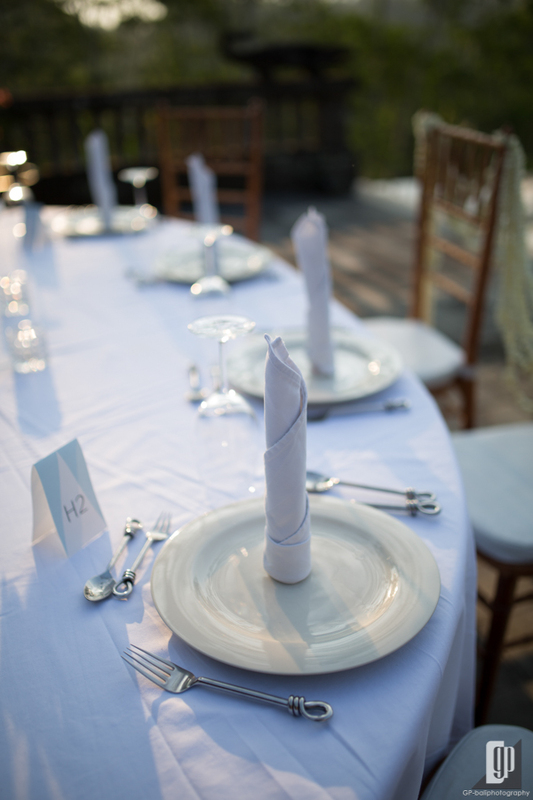 We had so much fun with their intimacy in dining moment at the reception. 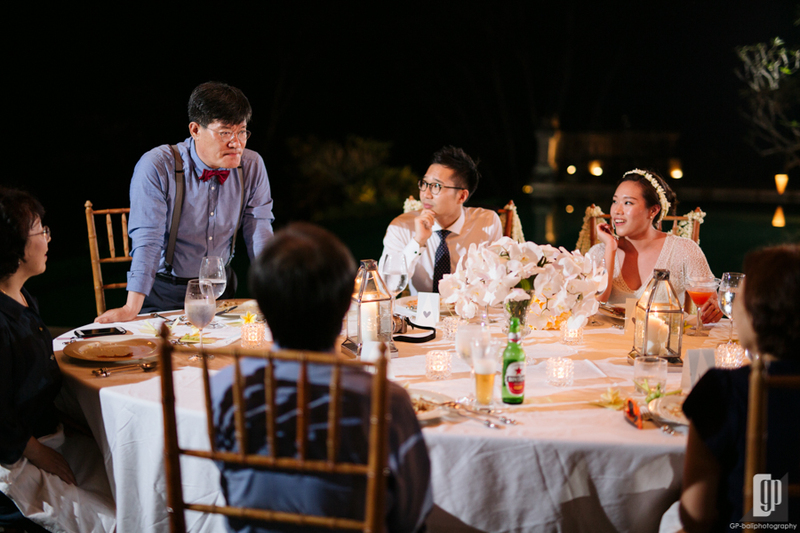 They shared their love and happiness to the people at the reception. 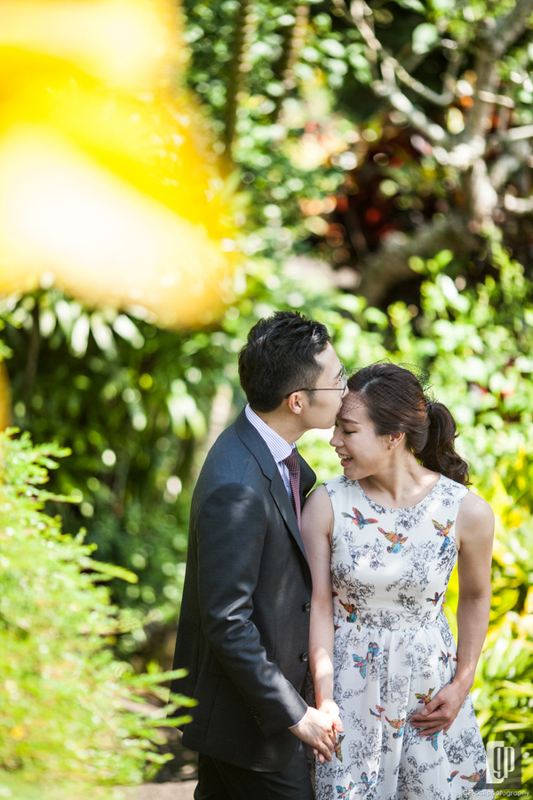 Happy for both of you guys!